The Appellate Division of the Supreme Court on Monday cleared the way to deliver verdict in Zia Charitable Trust graft case in absence of BNP Chairperson Khaleda Zia. A seven-member bench of the Appellate Division, headed by Chief Justice Syed Mahmud Hossain, passed the order rejecting a leave-to-appeal petition filed by Khaleda Zia seeking cancellation of the High Court order clearing the way for continuation of the trial proceedings in the case in her absence. Attorney General Mahbubey Alam said now there is no bar to delivering verdict in the case. Earlier on Sunday, the SC fixed today to pass order on the petition. A Special Judge Court installed inside the old central jail is scheduled to deliver its verdict in the Zia Charitable Trust graft case today (Monday). On October 18, a leave-to-appeal petition was filed with the Appellate Division against the High Court order. On September 20, Judge Md Akhtaruzzaman of the Special Judge Court-5 of Dhaka decided to continue the trial proceedings in absence of the main accused. On September 27, the BNP chairperson filed the writ petition with the High Court challenging a lower court decision. Meanwhile, the special court on October 16 fixed October 29 for delivering the verdict in the corruption case. 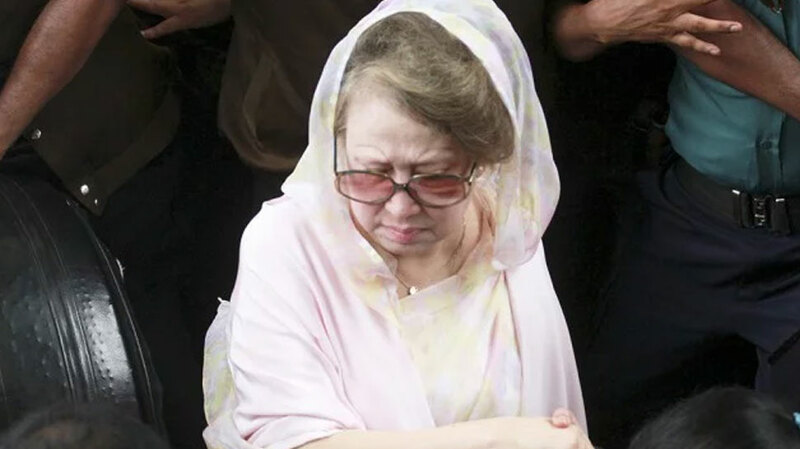 Khaleda Zia, who has been in jail since her conviction in the Zia Orphanage Trust graft case on February 8, refused to appear before the court during the trial of the Zia Charitable Trust graft case on ‘ security grounds’. Later, the government shifted the court to the jail premises to ensure her safety. Yet, she did not appear before the court. The state counsel appealed to the court to continue the trial proceedings of the case in absence of Khaleda Zia. The court accepted their plea.